PB2 is powdered peanut butter and while some stores carry it I decided to purchase it on line from Bell Plantation's website (the company that makes this product). On the label it reads: "peanuts are first slow roasted then pressed to remove the fat and oil." 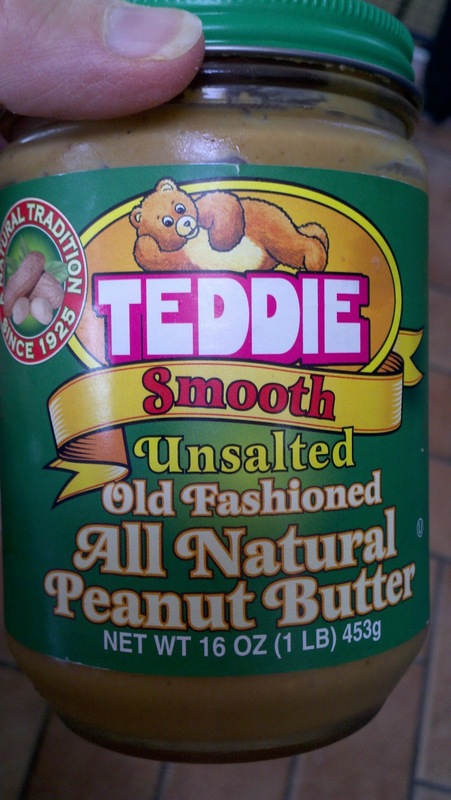 For peanut butter I typically purchase Teddy Brand Unsalted smooth. This is pretty darn close to it. The only down side is there is some added salt and sugar. What I find funny is Teddy Brand PB has .5g of sugar per TB and they don't add any sugar to their product. I called them to ask why and apparently there is sugar naturally found in the peanuts themselves. Perhaps in the processing of PB2 they added sugar as it was lost in the processing of pressing out the oil? Anyhow I give PB2 a two thumbs up and this will be a staple in my home. It's not cheap but worth the trade in money vs. fat. Now I can eat PB and not miss out or limit myself to 1 tsp measure. 1 rounded TB of PB2 (2TB of PB2 powder mixed with 1TB of water) is 1 WW points plus and 1 TB of regular PB is 2.5 WW points plus. If you are used to eating Skippy or Jiff this PB may not be for you ( I love Skippy and it's my go to 'junk food' peanut butter every once in five years).